Azmi Bishara, a Palestinian member of the Israeli Knesset, issued a very brief statement on Friday regarding the current situation in the Territories. He basically said that the current situation “is a threat to the present and the future of the Palestinian people”…..
No truer words have been spoken of the present crisis… only one party can benefit from this madness that is going on in Palestine today. Only one party will enjoy a total victory by watching Palestine self destruct. Needless to say, that party is Israel itself. I echo the words of Azmi Bishara “there are Palestinian institutions which have been elected, and so disagreements should be settled within these institutions”. Below is a report from the Ma’an News Agency on this…. Jerusalem – Ma’an – The Palestinian member of the Israeli Knesset, Dr Azmi Bsharah has said on Friday that the current situation “is a threat to the present and to the future of the Palestinian people,” stating the necessity of working to stop those who are causing the escalation in the Palestinian territories. 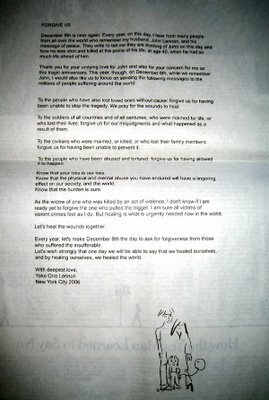 In a letter sent on behalf of the political office of the national democratic coalition to the Palestinian President and Prime Minister, Bsharah confirmed that the situation is not only dangerous, “but it is about to explode, threatening the present and the future of the Palestinian people, besides confusing the friends of the Palestinians”. He pointed to the American quagmire in Iraq and asked the Palestinians to learn the same lesson, so as to save the people. He concluded that, even though a unity government hadn’t been reached, “there are Palestinian institutions which have been elected, and so disagreements should be settled within these institutions”. Israel seems to think Apartheid is nothing but a big joke…. 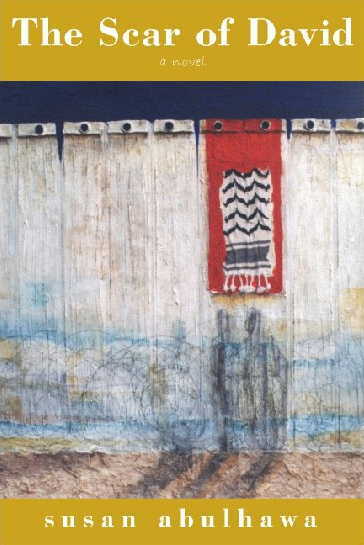 this is the banner they hung on the infamous wall to greet the tourists to Bethlehem this Christmas. Let’s hope and pray the wall will soon be a thing of the past…. I have a confession to you, my dear readers… a confession that I am almost ashamed to make. I realised very recently that I harboured feelings of prejudice. I thought of myself as an open minded person, free of hate, but this was not the case. My view of United States politicians was so biased that I saw no good among them. My ignorance, like most, was unjustified. This was proven to me this morning when I read the following article in HaAretz… it seems that Former President Jimmy Carter is a real ‘mentch’ (fine human being)…. 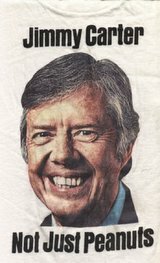 You can read about him here…..
One morning in the spring of 1983, Jimmy Carter left the King David Hotel and went for a morning jog, as he did wherever he was in the world. One U.S. Secret Service agent ran with him, as did two young Israeli soldiers who insisted on showing them the way. They reached Jaffa Gate and turned north, circling the walls of the Old City. Carter was enthralled by the view. Their run led them to the Jericho road. Several elderly Arab men were sitting there reading the morning papers. “The sidewalk was almost empty and wide enough for us to pass easily, but one of the soldiers cut to the right and knocked all of the newspapers back into the faces of the startled readers,” Carter writes in his new book. Some of the papers fell to the ground. He’d been in Israel several times, usually with his wife Rosalynn. Once, Rosalynn visited a hospital in Gaza. Her hosts showed her ambulances that the Palestinians had received from Europe. They couldn’t operate them because the Israeli authorities refused to issue license plates, claiming the chassis were too long. Carter demanded an explanation and was told that, because of security concerns, the dimensions of all vehicles had to conform to a certain standard. “The Palestinians couldn’t be given special permits to operate even ambulances that deviated from standards set by the local military officers,” Carter writes. Predictably, some are accusing Carter of anti-Semitism. Carter is closely following the responses, including on the Internet, and responding to his critics. He is prepared to lecture for free about his views – but Jews don’t want to hear, he complains. An Israeli reader won’t find anything more in the book than is written in the newspapers here every day. Carter has much praise for the public discourse in Israel, saying that it is more open to debate over a withdrawal to the Green Line than is the public discourse in America. It’s become something of a fashion there lately to claim that the Jewish lobby stifles all criticism of Israel; in fact, it isn’t difficult to find criticism there, too. Surveys show that a majority of Jews in America support a withdrawal in return for peace, as do at least half of the inhabitants of Israel. Carter isn’t calling for anything more than that. He has written a very personal and very Christian book, in the first person – I and the Middle East – that starts with his first visit to Israel in 1973. Prime Minister Golda Meir instructed that he be given the use of an old Mercedes and also provided a guide, by the name of Giora Avidar. Carter, who was then the governor of Georgia, describes his trip as if he were a 19th-century pilgrim visiting the Holy Land. Visiting a kibbutz synagogue on the Sabbath, he remarked on the very small number of kibbutz members who came there to pray, and Giora the guide just shrugged his shoulders. He asked Golda Meir if she wasn’t concerned by the secular character of her government and she, too, responded with a shrug, then lit cigarette after cigarette and said that there were enough religious people. Carter was disappointed, evidently; he’d imagined that Israel would be closer to God. But he returned from the trip “a great friend of Israel,” as Golda Meir used to refer to people who supported her views. He subsequently returned to Israel numerous times – and each time moved further away from what his official guide had pumped into his head on that first visit; from one visit to the next, he grew more critical. He has a good reason to be mad at Israel: Thanks to him, it achieved the first peace agreement in its history; and relations with Egypt are holding steady. This was “his” agreement, the one that brought him the Nobel Peace Prize. It’s no wonder that Carter sees it as key: Had Israel adhered to the Camp David Accords and not built settlements in the West Bank, it could have realized a comprehensive and lasting peace with Arabs who would recognize its legal borders, he contends. The expulsion of the Arabs reminds him of the expulsion of the Native Americans who once lived in Georgia and were forced to go west to Oklahoma via the Trail of Tears; his family farm was built on the land of those who were expelled. In addition to offering personal memories, chapters of history and legal arguments, Carter frequently quotes UN resolutions and all kinds of other international decisions. He once went to meet with Prime Minister Begin to explain to him why the construction of settlements was a violation of UN Resolution 242. To his surprise, Begin did not look him in the face; he was withdrawn and passive. He mumbled a few words and Carter understood that the conversation was over. He has several possible theories to explain Begin’s behavior, most likely he was preoccupied with something. Tactfully, he does not mention Begin’s shaky mental state. They sat in a small, dim room; Carter noticed that the room next door was empty and that it was also larger and better lit, and its number happened to be 242. One evening, Carter invited Supreme Court president Aharon Barak to meet with him. They sat in the bar of a Jerusalem hotel; Carter urged him to act on behalf of the Palestinians’ human rights, and told him of a number of abuses he’d heard of, including the story about the ambulances in Gaza. Barak said cautiously that he could not comment on specific cases. Carter asked if Barak thought that the Palestinians deserved fair treatment. Barak replied that they do receive fair treatment before the high court, but that he was not in a position to undertake any legal action on their behalf. Carter asked if Barak felt a responsibility to really examine the overall situation. Barak said that he could only adjudicate matters brought before the court. “When I requested his personal assessment of the situation in the West Bank and Gaza, he said that he had not been in the area for many years and had no plans to visit there,” Carter writes. “I remarked that if he was to make decisions that affected the lives of people in the occupied areas, he should know more about how they lived. He answered with a smile, ‘I am a judge, not an investigator. '” It’s not certain whether Carter also expects the chief justice of the U.S. Supreme Court to pay a visit, say, to Jamaica Plains, New York, to get a closer look at the place where an innocent black citizen was recently gunned down by police. Maybe he does. The book appears to include a few errors: It’s doubtful whether “cardinals” were included among the heads of the Christian communities who came to see him in Jerusalem; the capital of Yemen is not Tirana and UN Resolution 242 does not call for Israel to return to the 1967 borders. Had Carter asked me, I would not have suggested that he sum up his theory of peace by means of citations from Palestinian journalist Daoud Kuttab and former MK Naomi Chazan. I would also have suggested that he not mention the Web site where a film on the security wall can be purchased for $10. Let people search for it on Amazon. These are small things; the uproar is over the word “apartheid.” That’s another thing I would have recommended that Carter forgo, if he’d asked me. It’s not necessary; the situation is terrible as it is. 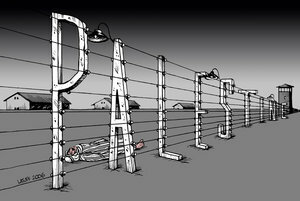 Now everyone’s busy arguing about the use of the term “apartheid” instead of focusing on the horrors of the occupation in the territories. 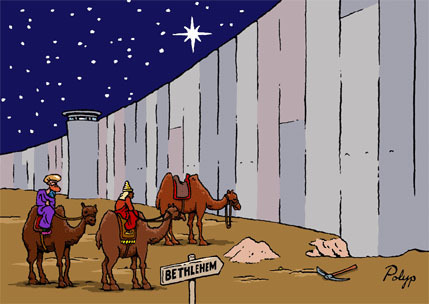 Similarly, I had a hard time getting worked up over the fact that the security wall in Jerusalem passes through territory that was a favorite of Jesus and his disciples. But the principal argument is well-founded, and backed up by the reports from B’Tselem, Peace Now, Israeli newspapers and even many articles that appear in The New York Times (as opposed to the theory, which Carter cites, that says Israel’s critics are being silenced). Like many others, Carter points out the ongoing and systematic violation of the Palestinians’ human rights; the injustices of the oppression perpetuate the conflict. It’s bad for everyone, the United States included. The security wall is adding to the hardships for the Palestinians; its route is not meant solely to increase Israel’s security, but to take a bite out of territories in the West Bank and annex them to Israel. Carter demands that Israel’s right to exist in security and peace be ensured; he calls on Palestinians and the Arab states to accept this; he denounces terror. Time is pressing: Radical Islam is growing stronger, Israel has nuclear arms: This detail is mentioned in the book quite casually, as if it’s something that everybody knows. One reason the book is outraging “friends of Israel” in America is that it requires them to reformulate their friendship: If they truly want what’s good for Israel, they must call on it to rid itself of the territories. People don’t like to admit that they’ve erred; therefore, they’re angry at Carter. But the belief that a withdrawal to the Green Line will bring peace has been around ever since the Six-Day War. What else is new? Israel has remained in the Palestinian territories and the Golan Heights mainly because the United States has not compelled it to withdraw. As optimistic as only a God-fearing person can be, the former U.S. president also essentially only propose that we all try to be nice to one another, in the spirit of the upcoming Christmas holiday. He has no new ideas to offer and thus his book is something of a let-down, though this does not justify a rebuke. Not to Carter. We owe him for the peace with Egypt. 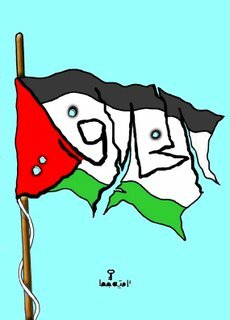 Despite the fact that there were 339 targeted assassinations in the Occupied Territories since the year 2000, despite the fact that 210 of those murdered were targets and the rest (129) were innocent bystanders, the Supreme Court of Israel declared it legal for Israel to continue such operations. This practice has received condemnation from most European countries, but once again, Israel does not give a damn… it will continue doing what it wants to…. legal or not. This is a most dangerous precident that must be protested by the civilised world…. it cannot be allowed. The following AP report deals with the court’s decision…. The Israeli Supreme Court on Thursday upheld Israel’s policy of targeted killings of Palestinian militants, allowing the army to maintain a practice that has drawn widespread international condemnation. The unanimous ruling from a three-judge panel fixed some legal limits, but it did not insist on prior court approval for the attacks, leaving the limits only theoretical and endorsing the killings in practice. Israel has defended the practice as necessary to prevent terror attacks, including suicide bombings. But the original justification of stopping “ticking bombs” has been expanded over the years to targeting militant leaders, including field commanders and the founder of Hamas. Palestinians and human rights groups, who have denounced the killings as assassinations and summary executions without trial, criticized the court for giving legal legitimacy to the practice. During the last six years of conflict, Israel has routinely targeted militants in airstrikes. The Israeli human rights organization B’tselem estimates that 339 Palestinians were killed in the targeted operations since 2000. Of those, 210 were the targets and the rest were bystanders. Israel has not carried out such an airstrike since a cease-fire went into effect in Gaza at the end of November. Targeted killings are usually carried out by attack helicopters or unmanned drones firing missiles at cars, acting on intelligence information from agents and informers on the ground. The tactic has since been adopted by the U.S. and its allies in Afghanistan and Iraq. This was the last decision before retirement by Supreme Court Chief Justice Aharon Barak, who has often set judicial standards for human rights. Barak and his two colleagues ruled that “it cannot be determined in advance that every targeted killing is prohibited according to customary international law,” while also noting that the tactic was not necessarily legal in every case. Every case needs to be evaluated individually to determine its legality, the court said. Two human rights groups, the Public Committee Against Torture in Israel and the Palestinian Society for the Protection of Human Rights and the Environment petitioned the court to ban the policy in 2002, but the court repeatedly delayed issuing a decision. Hamas has carried out dozens of suicide bombings that killed hundreds of civilians in Israel over the past decade. The Israeli military began carrying out targeted killings of Palestinian militants after the breakdown of Israeli-Palestinian peace talks and the subsequent outbreak of violence in 2000, saying the tactic was the most effective way to stop Palestinian bombers targeting Israeli population centers. In July 2002, the air force dropped a one-ton bomb that killed Salah Shehadeh, a top Hamas operative wanted for masterminding suicide bombings, along with his bodyguard and 13 bystanders, including nine children. 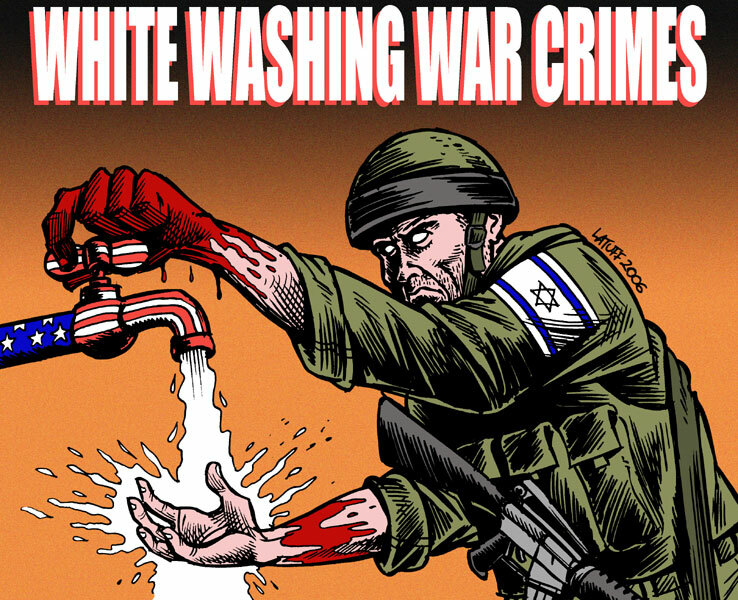 The Shehadeh killing led some international human rights groups to call for criminal charges against Israeli officers, including the current chief of staff, Lt. Gen. Dan Halutz, who was the air force commander at the time. In 2004, an Israeli airstrike killed the leader of Hamas, the wheelchair-bound cleric Ahmed Yassin. A few weeks later, another airstrike killed his successor, Abdel Aziz Rantisi. In two important decisions released Tuesday and Wednesday, Barak angered Israelis on both ends of the political spectrum: He drew ire from hard-liners by ruling that Israel had to pay reparations for damages caused by some military operations in Gaza and the West Bank, and from doves by ruling that a section of Israel’s separation barrier that juts into the West Bank near Jerusalem can be left in place. 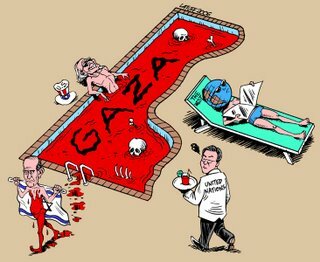 Israel has sunk to a new low if that can be conceived…. it is refusing to allow the duly elected Prime Minister of Palestine, Ismail Haniyeh, back into Gaza after his visit abroad. He reportedly is carrying 35 Million Dollars with him, contributions from Arab States which were pledged to the Palestinian Authority for assistance. This move must be protested by the west… it must not be tolerated or a new precident will be started whereby Israel’s non recognition of the Hamas government turns into official Israeli rule of the Occupied Territories in place of occupation. This must not be allowed. Palestine must be recognised as a nation…. Hamas must be recognised as their government…. and Israel has to end the occupation immediately….. there is no other alternative. Below is a Ynet report on the situation…..
Defense Minister Amir Peretz has ordered the closure of the Rafah crossing in Gaza Thursday to prevent the return of Palestinian Prime Minister Ismail Haniyeh to the Strip with dozens of millions of dollars in aid. Haniyeh is currently awaiting clearance to cross from the Egyptian city of el-Arish into Gaza, but Peretz instructed the security establishment to close the crossing after receiving intelligence information according to which the Palestinian prime minister will attempt to transfer large sums of money into the Strip. It is estimated that should Haniyeh ask to cross without the money, he will be allowed to pass. Palestinian sources later reported that an agreement was reached in which Haniyeh would enter the Gaza Strip under the condition that he does not bring in the money he collected on his visits throughout the Arab world. According to the report, it was decided that the money would be transferred later on to the Palestinian Finance Ministry. Haniyeh cut short his tour of several Arab countries in light of the heightened tensions between Hamas and Fatah; the Palestinian prime minister was scheduled to hold a press conference at the Rafah crossing and offer details of his trip, particularly with regards to the funds he was able to raise in Iran and Qatar. Earlier, two Palestinian policemen were injured during exchanges of fire with gunmen, after they detained a Hamas operative in a Hamas-affiliated neighborhood in Gaza. The man, Hisham Mukhaimar, a member of Hamas’ Popular Resistance Committees, was arrested on suspicion of being involved in the murder Monday of three schoolboys whose father was an intelligence official considered close to Palestinian President Mahmoud Abbas. Earlier, Haniyeh visited and met with leaders in Egypt. His Middle East tour also included visits to Iran and the Gulf states, who pledged financial assistance to the Palestinian Authority. During his visit in Tehran – the first of a Palestinian prime minister to Iran – Haniyeh declared that a Hamas-led government would never recognize Israel and would continue to fight to “liberate Jerusalem”. During a speech in the city, Haniyeh referred to Iran as the Palestinians’ “strategic depth”, because of their joint battle against Israel. “They (Israelis) assume the Palestinian nation is alone. This is an illusion. … We have a strategic depth in the Islamic Republic of Iran. This country (Iran) is our powerful, dynamic and stable depth,” he said. Why???? Because it was there. Why???? Because they could. The collective punishments inflicted upon the Palestinian nation are endless. Aside from the needless killing of civilians, the infrastructure of the land has been destroyed by the occupiers… the sources of electricity and water…. and now the airport. There is no reason that can justify these attempts to prevent Palestine from ever becomming a free state. If Gaza had an airport, the International Commision which was to be led by Desmond Tutu earlier in the week could have taken place, just one of many reasons why Israel might justify its destruction. The occupier must have complete control on who enters and leaves the occupied….. the answer is to end the occupation allowing Palestine to rebuild, literally from the ashes. Israel was at that point once in history…. they should not be inflicting the pain on others. Hopefully the new incoming Secretary General of the United Nations might take his job seriously and might try to bring peace to a region that has not seen it in years…. way too many years. ITS TIME FOR A CHANGE…. AND THE TIME IS NOW! The following article appeared in this morning’s Telegraph… about the damage at the airport…. The Israeli army has been accused of mindlessly destroying the terminal building at Gaza International Airport. A once pristine modern structure, which had come to symbolise Palestinian statehood, has been wrecked. Before Israeli troops occupied the terminal this summer, its luggage carousel, restaurants, bank, duty free shops and other amenities were all maintained perfectly, ready for the day when the airport, which has been closed for five years, reopens. There was no fighting in or around the terminal during the Israeli incursion into Gaza, so when the Israeli forces withdrew a few weeks ago Palestinian employees hoped they would find everything as they left it. But instead they found pipes ripped up, roof tiles smashed, marble slabs broken and windows shattered. The fully equipped control tower had become a jumble of scrap metal. Graffiti in Hebrew had been left in several places including the car park where an Israeli soldier had used a tank or combat bulldozer to scour the name “Amit” in 20 ft letters in the tarmac. Lamp posts had been knocked down like skittles. While nothing appears to have been looted, Palestinians seethed that an important national symbol had been deliberately destroyed. The airport is the only one allowed by Israel in the occupied territories although it has been closed for flights since 2001. One early estimate suggests it will cost £8 million to repair this summer’s damage. “When I first came back after the Israelis left I began to cry,” said Rassim Assadi, the chief of security at the airport. The terminal buildings show no evidence of fighting, but plenty of evidence that the Israeli army had recently been in situ. Boxes for Israeli army ration packs littered the floor along with Israeli newspapers. The control tower had obviously been used as a military headquarters and soil berms had been pushed up to protect its ground floor windows. Inside, four tills, probably from the terminal building shops, lay burnt out on the floor close to a McDonalds wrapper printed with Hebrew script. David Shearer, the local head of the United Nations Office for the Co-ordination of Humanitarian Affairs, said the destruction appeared to have been “sheer vandalism”. “For the past six years Gaza airport has been maintained in a pristine condition by staff who turned up to work in spite of it not being opened,” he said. “Its reopening is part of discussions under the Agreement on Movement and Access signed by Israel last year. That hope has now been scuttled in what appears to have been an act of sheer of vandalism. Gaza International Airport has come to represent a barometer of the Israeli-Palestinian peace process. Ten years ago, in the aftermath of the Oslo peace accords, the airport was a symbol of hope. International aid money paid the £50 million construction costs. President Bill Clinton attended the ceremonial opening and for more than two years Palestinian Airlines flew to Cairo, Ankara, Amman and elsewhere. But when the second intifada — or Palestinian uprising — began in late 2000, Israel sent combat engineers to dig holes in the runway and blow up the radar. The planes moved to Amman. The main terminal building, VIP hall and control tower were left untouched and for years 400 or so employees of the Civil Aviation Authority turned up for work each day, hoping the airport would one day reopen. Those hopes lay in ruins yesterday along with the shards of glass and masonry littering the terminal floor. A spokesman for the Israeli army was unable to comment. This book review looked too interesting not to post…. get the book if you can… you can order it online HERE. The Scar of David (Journey Publications, 2006) by Susan Abulhawa is a profoundly beautiful story. Set in Palestine, this novel transcends the particular history of the Palestinian people since their expulsion from their lands while simultaneously remaining firmly rooted in that experience. Inspired by sources and people as varied as Ghassan Kanafani’s short story “Return to Haifa,” Hanan Ashrawi and Edward Said, this is a story of a family in Palestine. It is not a sad story, but a painful one. To borrow the words of one of the story’s characters, it is a “sweet pain.” It is a pain tinged with memory and hope. And questions of why. A pain partially composed by soldiers who somehow find their human compassion underneath the lies, yet continue to fight the war in which they have some doubt. A pain that comes with standing up to resist your oppressor all the while knowing that the things that are most important to you — your family, your village, and your loves — will be ripped from you because you do stand up. A pain that also come from knowing that these things may very well be ripped from your existence even if you do nothing. Abulhawa’s descriptions in this novel are as beautiful as the land they portray. Ms. Abulhawa has combined historical panorama and the personal fears, loves, vanities and anger of a young girl viewing a world that is constantly asunder. It is a litany of perpetual war and humiliation; of children born and their parents taken away. Part of the tale is about a child stolen from his mother to become the child of another woman whose past life of torment as a Jewish plaything for the SS finds itself reborn in the actions of her husband and the army he rides with. The stolen child becomes an enemy of his own people and, in a particularly wrenching scene, beats his own brother — a Palestinian resistance fighter — until he is held back by another Israeli soldier. Yet, it is his own fear that he is attempting to remove. Her husband is eventually filled with remorse and doubt because he still hears the cries of his “adopted” son’s mother after he took her son from her. That remorse is multiplied by the fact that his dream of a safe place for the Jewish people is drenched in blood and misery, theft and lies. The story truly begins with Dalia, a Bedouin girl who defies conventions established in the village life of Ein Hod. She attracts the eye of a couple of brothers from the village and is eventually married off to one, if for no other reason than to save her father from further embarrassment. 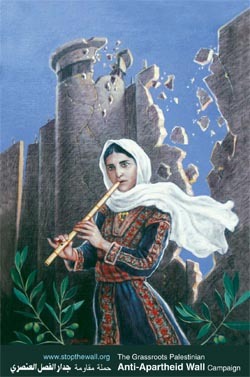 As she matures, she sees her adopted village become another piece of the Zionist drive to establish and expand Israel. As mentioned above, her youngest son is stolen by an Israeli officer during the forced march of the villagers from Ein Hod. Her daughter, who will be named Amal, is not even a twinkle in her parent’s eyes yet. She will be born a refugee in the Jenin refugee camp and is to be the primary protagonist throughout most of the rest of Abulhawa’s tale. Amal means hope, something Dalia eventually loses after so many years of war and oppression. Dalia slips into dementia after so much destruction and despair. Dalia’s husband disappears (assumed dead) after the 1967 war and her older son Yousef is forced underground after suffering beatings and torture. One of those beatings is the one given by his brother who doesn’t know that they are brothers. His brother named Ismael by Dalia and her husband Hasan, now named David by the Israeli soldier who stole him and his wife. Ismael, as in son of Abraham. David, as in child of Israel. Within this one child become man are the contradictions of the land they both live on. He is the complexity of human life and the complexity of two peoples claiming the same land. When he finally discovers his past and meets up with his sister Amal, his words are so simple and so poignant: “But love cannot reconcile with deception.” This story is two brothers fighting each other. It is Amal’s first mysterious menstrual period subsumed by the blood from a bullet fired at her by Israeli soldiers almost as if in sport. It is, as Amal’s daughter says near the book’s end during a visit to Jenin with her Green Card mother, “imperialism by the inch.” Bit by bit, the land is stolen. For highways and settlements. For walls and garrisons. There is a moment in that visit to Jenin when Amal begins to tell her daughter Sara all that she has kept hidden so that Sara can have a normal American childhood. Sara, hungering for more, asks her mother why she kept this history, this life, from her? In reply, Amal only thinks to herself: “How would she feel if I told her everything else I’d held back?” This novel is exactly that. It is Palestine telling everything she has held back. It is Palestine’s mothers and daughters telling everything about their stolen lands and the lives they have lost. The dreams that are discarded before you reach sixteen. The children who are barely children before they become targets of the IDF’s guns. If only the world would listen. It is time the story has a happy ending. Or at least a just one. The beauty in this story is not in its few moments of joy and happiness or its even rarer moments of hope. No, the beauty lies in the stories of a people determined not to die. In a young girl’s belief in family and friends. Of a father’s hope for his child’s future just before his death. Of rage that almost turns to hateful revenge. Of the despair of loss and the fear of more of the same. Love stories that fly over battle and hatred. The beauty lies mostly in how these stories are told. How this story is told. How this story is a story of Palestine. The writing here echoes the finest couplets of Gibran and Rumi. There is an unfathomable emotional depth to the words spoken and unspoken. The sheer ability of this story to tear emotions from the reader is what the US reader must experience. If they are to know the results of their indifference and their admonitions that “oh, it can’t be that bad,” they must read this book. Because, yes, it can be that bad. Because, yes, it is that bad. With the Christmas holiday approaching, the annual pilgrimage to Bethlehem might be quite limited this year. Economic hardships in most Palestinian areas as well as the difficulty in getting there because of the apartheid wall has put a damper on the celebrations weeks before they even start. 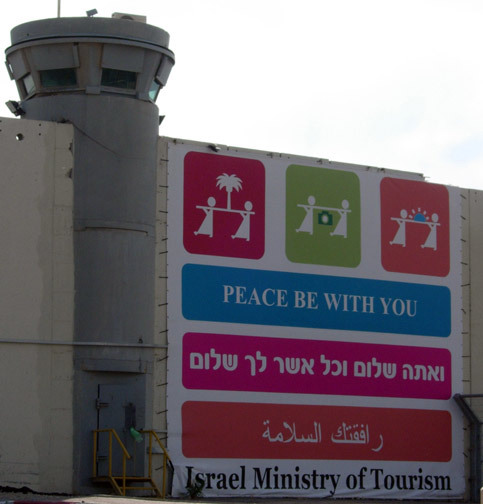 How ironic that the very place that the ‘Prince of Peace’ was born in is now a war torn city…. ironic and sad. There is still time to change the situation, but somehow it seems that the spirit of Christmas will be best celebrated elsewhere this year. The following report appeared on Yahoo News this evening…. BETHLEHEM, West Bank (AFP) – As the West Bank town of Bethlehem readies for its annual Christmas festivities, the traditional birthplace of Jesus is enduring some of the toughest times in its history, its mayor said. “This year, the birthplace of Jesus, though its history is full of inspirational stories, is living one of its history’s darkest chapters,” Victor Batarseh told reporters during his annual Christmas address. Israel’s separation barrier which snakes deep inside the West Bank has taken a particular toll on this city of some 40,000, cutting off access to farm land and isolating laborers from jobs in Jerusalem just minutes to the north. “Today we live in what is similar to a big prison,” said Batarseh, a 71-year-old former activist in the Marxist-leaning Popular Front for the Liberation of Palestine. 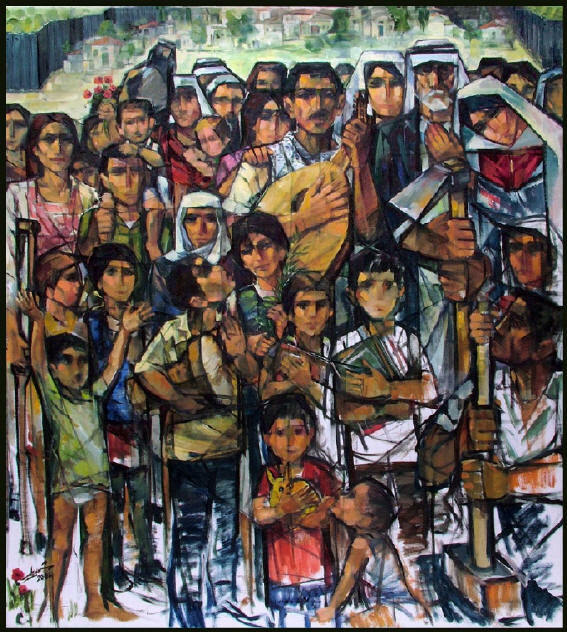 Before the outbreak of the second intifada, or uprising, in September 2000, nearly a million tourists and Christian pilgrims visited the birthplace of Jesus annually. Today, that number has dropped to a mere trickle. The wall has devastated Palestinian farmers as well, the mayor said, adding that 7,000 dunums (about 700 acres or 280 hectares) of arable land were confiscated to make way for the barrier’s cement blocks and foreboding guard towers. The dwindling tourist numbers, Israeli closures and the severe limits on Palestinian work permits have sent unemployment in Bethlehem soaring to 65 percent, Batarseh said. The fiscal crisis has left the Bethlehem municipality unable to pay employees’ salaries for over three months, according to Batarseh. “There will be no clothes for the employees’ children this year and Santa will not visit them,” he added. The Hamas-led government promised the town 50,000 dollars for Christmas decorations, but the money has yet to arrive. Still, Batarseh, said to be a Hamas ally despite his Christian faith, refused to criticize the ruling Islamists. In recent years, the numbers of Christians living in the Palestinian territories has shrunk, as those with means, have fled abroad. Bethlehem was once a predominantly Christian town, but today Muslims make up the majority. No one likes to admit a mistake. Me neither. But honesty leaves me no choice. A few days after the collapse of the Twin Towers on September 11, 2001, I happened to go on a lecture tour in the US. My message was optimistic. I expected some good to come out of the tragedy. I reasoned that the atrocity had exposed the intensity of the hatred for the US that is spreading throughout the world, and especially the Muslim world. It would be logical not only to fight against the mosquitoes, but to drain the swamp. Since the Israeli-Palestinian conflict was one of the breeding grounds of the hatred – if not the main one – the US would make a major effort to achieve peace between the two peoples. That was what cold logic indicated. But this is not what happened. What happened was the very opposite. American policy was not led by cold logic. Instead of drying one swamp, it created a second swamp. Instead of pushing the Israelis and Palestinians towards peace, it invaded Iraq. Not only did the hatred against America not die down, it flared up even higher. I hoped that this danger would override even the oil interests and the desire to station an American garrison in the center of the Middle East. Thus I committed the very mistake that I have warned others against many times: to assume that what is logical will actually happen. A rational person should not ignore the irrational in politics. In other words, it is irrational to exclude the irrational. George W. Bush is an irrational person, perhaps the very personification of irrationality. Instead of drawing the logical conclusion from what had happened and acting accordingly, he set off in the opposite direction. Since then he has just insisted on “staying the course”. SINCE I am already in a confessional mood, I have to admit that I like James Baker. Yes, yes, the very same Baker. I like him for his cold logic, his forthright and blunt style, his habit of saying what he thinks without embellishment, his courage. I prefer this style to the sanctimonious hypocrisy of other leaders, who try to hide their real intentions. I would be happy any time to swap Olmert for Baker, and throw in Amir Peretz for free. But that is a matter of taste. More important is the fact that in all the last 40 years, James Baker was the only leader in America who had the guts to stand up and act against Israel’s malignant disease: the settlements. When he was the Secretary of State, he simply informed the Israeli government that he would deduct the sums expended on the settlements from the money Israel was getting from the US. Threatened and made good on his threat. Baker thus confronted the “pro-Israeli” lobby in the US, both the Jewish and the Christian. Such courage is rare in the United States, as it is rare in Israel. THIS WEEK the Iraq Study Group, led by Baker, published its report. It confirms all the bleak forecasts voiced by many throughout the world – myself included – before Bush & Co. launched the bloody Iraqi adventure. In his dry and incisive style, Baker says that the US cannot win there. In so many words he tells the American public: Let’s get out of there, before the last American soldier has to scramble into the last helicopter from the roof of the American embassy, as happened in Vietnam. 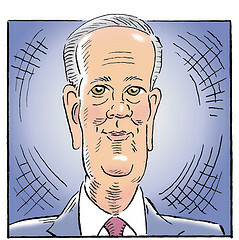 Baker calls for the end of the Bush approach and offers a new and thought-out strategy of his own. Actually, it is an elegant way of extricating America from Iraq, without it looking like a complete rout. The main proposals: an American dialogue with Iran and Syria, an international conference, the withdrawal of the American combat brigades, leaving behind only instructors. The committee that he headed was bi-partisan, composed half and half of Republicans and Democrats. FOR ISRAELIS, the most interesting part of the report is, of course, the one that concerns us directly. It interests me especially – how could it be otherwise? – because it repeats, almost word for word, the things I said immediately after September 11, both in my articles at home and in my lectures in the US. True, Baker is saying them four years later. In these four years, thousands of American soldiers and tens of thousands of Iraqi civilians have died for nothing. But, to use the image again, when a giant ship like the United States turns around, it make a very big circle, and it takes a lot of time. We, in the small speed-boat called Israel, could do it much quicker – if we had the good sense to do it. Baker says simply: In order to stop the war in Iraq and start a reconciliation with the Arab world, the US must bring about the end of the Israeli-Palestinian conflict. He does not say explicitly that peace must be imposed on Israel, but that is the obvious implication. The use of the title “President” for Abu Mazen and, even more so, the use of the term “right of return” has alarmed the whole political class in Israel. Even in the Oslo agreement, the section dealing with the “final status” issues mentions only “refugees”. Baker, as is his wont, called the spade a spade. 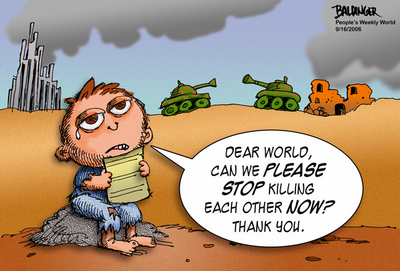 At the same time, he proposes a stick and carrot approach to achieve peace between Israel and Syria. The US needs this peace in order to draw Syria into its camp. The stick, from the Israeli point of view, would be the return of the Golan Heights. The carrot would be the stationing of American soldiers on the border, so that Israel’s security would be guaranteed by the US. In return, he demands that Syria stop, inter alia, its aid to Hizbullah. After Gulf War I, Baker – the same Baker – got all the parties to the conflict to come to an international conference in Madrid. For that purpose, he twisted the arm of then Prime Minister Itzhak Shamir, whose entire philosophy consisted of two letters and one exclamation mark: “No!” and whose slogan was: “The Arabs are the same Arabs, and the sea is the same sea” – alluding to the popular Israeli conviction that the Arabs all want to throw Israel into the sea. Baker brought Shamir to Madrid, his arms and legs in irons, and made sure he did not escape. Shamir was compelled to sit at the table with representatives of the Palestinian people, who had never been allowed to attend an international conference before. The conference itself had no tangible results, but there is no doubt that it was a vital step in the process that brought about the Oslo agreement and, more difficult than anything else, the mutual recognition of the State of Israel and the Palestinian people. Now Baker is suggesting something similar. He proposes an international conference, and cites Madrid as a model. The conclusion is clear. HOWEVER, THIS baker can only offer a recipe for the cake. The question is whether President Bush will use the recipe and bake the cake. Since 1967 and the beginning of the occupation, several American Secretaries of State have submitted plans to end the Israeli-Palestinian conflict. All these plans met the same fate: they were torn up and thrown in the trash. The same sequence of events has been repeated time after time: In Jerusalem, hysteria sets in. The Foreign Office stands up on its hind legs and swears to defeat the evil design. The media unanimously condemns the wicked plot. The Secretary of State of the day is pilloried as an anti-Semite. The Israeli lobby in Washington mobilizes for total war. with, at most, “insubstantial alterations”. In face of the onslaught of “the Friends of Israel” in Washington, Nixon buckled under, as have all presidents since Dwight D. Eisenhower, a man of principle who did not need the Jewish votes. No president will quarrel with the government of Israel if he wants to be re-elected, or – like Bush now – to end his term in office with dignity and pass the presidency to another member of his party. Any senator or congressman who takes a stand that the Israeli embassy does not like, is committing Harakiri, Washington-style. The fate of the peace plans of successive Secretaries of State confirms, on the face of it, the thesis of the two professors, John Mearsheimer and Stephen Walt, that caused a great stir earlier this year. According to them, whenever there is a clash in Washington between the national interests of the United States and the national interests of Israel, it is the Israeli interests which win. WILL THIS happen this time, too? Baker has presented his plan at a time when the US is facing disaster in Iraq. 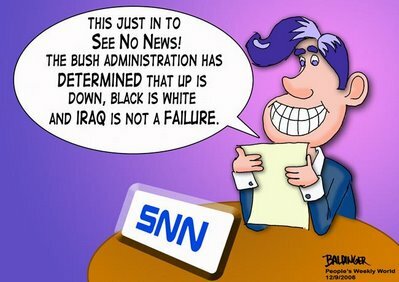 President Bush is bankrupt, his party has lost control of Congress and may soon lose the White House. The neo-conservatives, most of them Jews and all of them supporters of the Israeli extreme Right, who were in control of American foreign policy, are being removed one by one, and this week yet another, the American ambassador to the United Nations, was kicked out. Therefore, it is possible that this time the President may listen to expert advice. On the Mearsheimer-Walt thesis I wrote that “the dog is wagging the tail and the tail is wagging the dog.” It will be interesting to see which will wag which this time: the dog its tail or the tail its dog. What is needed is unity. The only way to achieve justice is through unity. The only way to reach a negotiating table is through unity. KHAN YOUNIS, Gaza Strip (AP) – Hamas gunmen fired on demonstrators from the rival Fatah movement on Tuesday, wounding four people and intensifying fears of a new wave of Palestinian infighting following the deaths of three children in a drive-by shooting, officials said. The demonstration was organized to protest the deaths of the children, whose car was riddled with bullets as they were driven to school Monday morning. Fatah officials have accused Hamas of being behind the shooting. The children’s father is an intelligence officer who is considered an enemy of Hamas. Saleh Hammad, a local Fatah leader, said the demonstration was peaceful, though he acknowledged that some children had provoked the Hamas militiamen by throwing rocks at them. “Even if one or a few children lost their temper and stoned the members of the unit, this is not a reason to be fired at,” he said. Islami Shawan, a spokesman for the Hamas security unit in the area, denied his men had fired on protesters. “Our personnel didn’t fire at any demonstrations in Khan Younis. Our personnel were attacked by shooting and stones,” Shawan said. Hospital officials confirmed four people were wounded. The demonstration quickly dispersed, and there were no further signs of fighting. The factional violence was the first since Monday’s shooting, which increased fears of an explosion of violence between Fatah and Hamas. Gaza has been plagued by escalating lawlessness and sporadic street battles between the factions since Hamas defeated Fatah in January parliamentary elections. The tensions increased over the weekend, after Palestinian President Mahmoud Abbas threatened to call new elections. On Tuesday, a top aide to Abbas said the president will announce his intention to hold an early vote in a major speech on Saturday. 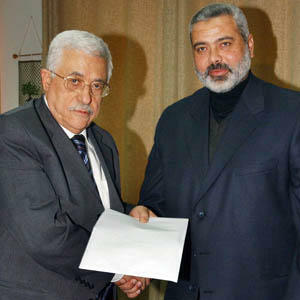 But Abbas is not expected to announce a date for the election, giving negotiators more time to reach a deal with Hamas. Abbas has been trying to form a coalition with Hamas in hopes of ending international sanctions against the current Hamas-led government. Western donors cut off hundreds of millions of dollars in aid to the government after Hamas took power, demanding the Islamic group renounce violence and recognize Israel’s right to exist. Hamas, which is committed to Israel’s destruction, has rejected the international conditions. The sanctions have caused widespread hardship throughout the West Bank and Gaza. Olmert is off to Europe tomorrow to literally beg for support… as it appears imminent the US pursestrings will soon be limited. He will meet with representatives of Italy and Germany. He will present himself as a man representing a peaceful nation, a man truly interested in establishing a just peace in the middle East. 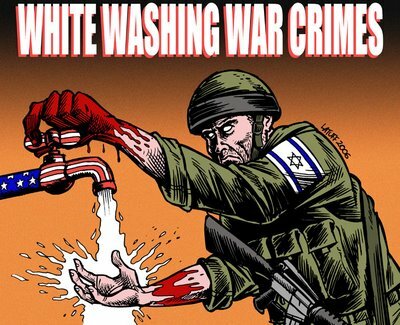 He will in actuality whitewash and lie about the crimes he is responsible for over the past few months in the Occupied Territories, Gaza in particular. It will be interesting to see what support will be forthcoming, especially just a day after a fact finding UN Mission which was to be led by Desmond Tutu was not allowed entry into Israel. Israel obviously enjoys ‘playing by its own rules’, let’s see who is willing to ‘play’ with him. Ehud Olmert, Israel’s prime minister, will seek to bolster European support for Israel during a trip to Berlin and Rome, amid fears that the United States may soon shift course in the Middle East. In Israel, the defence minister has said that any Palestinian peace initiative must be based on the Saudi plan, which calls for a two states solution. In addition to hopes for new peace momentum, Olmert’s trip will address concerns that Europe might soften tough sanctions on the Palestinians’ Hamas-led government and show more tolerance for Iran’s nuclear ambitions, analysts say. Olmert will meet Angela Merkel, the German chancellor, in Berlin on Tuesday and Romano Prodi, the prime minister of Italy, on Wednesday in Rome. He is also expected to talk to Italian and German leaders about a US panel’s recommendations for revising America’s Middle East policy, as well as on developments in Lebanon, where Italian and German peacekeepers are monitoring the truce that ended Israel’s month-long war with Hezbollah fighters. It is Olmert’s first visit to the two countries since taking office last May. Following his meeting with Prodi, Olmert is to be received at the Vatican by Pope Benedict XVI. Israel is ready to recognise a “European role” in reviving the peace process, dormant for six years, provided Europe continues to boycott the Hamas-led Palestinian government, said Miri Eisin, a spokeswoman for Olmert. Olmert’s spokeswoman said he will ask the European heavyweights to back economic sanctions against Iran if the Islamic republic continues its nuclear programme, which Tehran says is for civilian purposes, but which the West says is a cover for atomic weapons ambitions. Europe has been seeking a larger role in Middle East politics, and last month, Spain, France and Italy put forth an independent initiative meant to get peacemaking back on track. Israel rejected that plan. Olmert revived the notion of peacemaking after Palestinian rocket fire and Israel’s summer war in Lebanon discredited his major diplomatic initiative, a large-scale West Bank pullback that was widely expected to be unilateral. In one of the first times an Israeli official has publicly considered the plan, Amir Peretz, Israel’s defence minister, said at the Israel Business Conference that any Palestinian peace initiative must be based on the 2002 Saudi peace plan. The statement came two weeks after Olmert hinted at a major policy change. The Saudi peace initiative calls for an Israeli withdrawal to the 1967 borders and the establishment of a Palestinian state, with Jerusalem as its capital. In exchange, Israel would receive peace agreements and full diplomatic relations with Arab countries. Jimmy Carter on my blog…. WOW… what an honour. Actually, it’s a piece that appeared in Friday’s Los Angeles Times, but I thought it was interesting enough to post here…. so enjoy! Jimmy Carter says his recent book is drawing knee-jerk accusations of anti-Israel bias. We covered every Palestinian community in 1996, 2005 and 2006, when Yasser Arafat and later Mahmoud Abbas were elected president and members of parliament were chosen. The elections were almost flawless, and turnout was very high — except in East Jerusalem, where, under severe Israeli restraints, only about 2% of registered voters managed to cast ballots. The many controversial issues concerning Palestine and the path to peace for Israel are intensely debated among Israelis and throughout other nations — but not in the United States. For the last 30 years, I have witnessed and experienced the severe restraints on any free and balanced discussion of the facts. This reluctance to criticize any policies of the Israeli government is because of the extraordinary lobbying efforts of the American-Israel Political Action Committee and the absence of any significant contrary voices. Out in the real world, however, the response has been overwhelmingly positive. I’ve signed books in five stores, with more than 1,000 buyers at each site. I’ve had one negative remark — that I should be tried for treason — and one caller on C-SPAN said that I was an anti-Semite. My most troubling experience has been the rejection of my offers to speak, for free, about the book on university campuses with high Jewish enrollment and to answer questions from students and professors. I have been most encouraged by prominent Jewish citizens and members of Congress who have thanked me privately for presenting the facts and some new ideas. 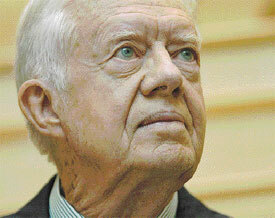 Click HERE to see a video of President Carter being interviewed on Hardball…. It is not my style to meddle in the internal affairs of the Palestinian Authority, but I can no longer remain silent on the issue of the lack of unity. There are two simple factors to look at… the first being that Hamas was elected with a majority to represent the Palestinian people in their last election. The second is that Israel and the western world has done everything to prevent them from forming a government. Now a new facor has come to light… The President of Palestine, Mahmoud Abbas seems to be joining the international enemies of Hamas in trying to eliminate them from the political scene. This I see as political suicide for him as it is obvious that the people still support Hamas and if a new election is called, as he wants, he might find himself out the door completely with a total Hamas government in the place of what exists now. It would be wise for Abbas to work towards establishing a unity government instead of trying to destroy what there is. He may be gaining ‘Brownie Points’ with Israel and the West, but it will cost him his job in the end. Below is a piece that appears on AlJazeera’s site…. Mahmoud Abbas, the Palestinian president, will dismiss the Hamas-led government and call early elections if he fails to form a new unity government, officials have said. But Hamas officials have immediately condemned the move and claimed Abbas had no authority to call new elections. It called the decision “a clear coup against democracy”. PLO officials said Abbas announced his decision at a meeting of the group’s powerful executive committee and plans to deliver a formal nationwide speech next week. The formation of the Hamas-led government brought economic sanctions by Israel and Western aid donors. Abbas urged Hamas to join Fatah in a unity coalition in order to get the sanctions lifted. But the talks ended in deadlock over the division of cabinet portfolios and the issue of recognising Israel. Talks on forming a unity government broke down last month. Ismail Haniya, the Palestinian prime minister, rejected Abbas’s plan to hold early elections, saying it would accentuate “crisis and tensions”. “I think that the invitation to carry out the elections in this way is disrespectful to the Palestinian people,” Haniya said in an interview with Iranian television on Saturday. “I believe that this will increase the crisis and the tensions and will have a negative impact,” said the head of the Hamas-led government, who is visiting Iran as part of his first foreign trip as prime minister. “We had an intense discussion on various options, and from what we heard, he is leaning toward going back to the people with a call for early presidential and legislative elections,” Saeb Erekat, a senior Palestinian aide, said. Participants in Saturday’s meeting said Abbas has not set a deadline for holding the new election. But an official close to Abbas said the election would probably be held in four or five months. The official spoke to the Associated Press on condition of anonymity. Calling a new election would be risky for Abbas as he would be putting his own job on the line and there are no guarantees that Fatah would improve its standing in a new vote. The movement, which dominated Palestinian politics for four decades, remains divided and tarnished by corruption. This image speaks for itself…. no furthur comment necessary. Israel seems to have some things to hide as far as the massacre in Beit Hanoun is concerned. although they claim the ‘final episode’ of the murder of a single family on one night was the fault of a ‘technical error’ they still seen unwilling to have Desmond Tutu investigate the circumstances. Unfortunately, Palestine is not in a position to allow or disallow people to enter their territory without them having to go through Israeli security first. This raises still another question and reason to continue to struggle for Palestinian sovreignty and eventual statehood… this is key to the eventual justice that they will one day enjoy. A United Nations fact-finding mission to the Gaza Strip that was to be led by Desmond Tutu is in doubt because Israel has yet to give the Nobel laureate permission to enter the territory, officials said Friday. Tutu was to begin leading a six-member team this weekend in the northern Gaza town of Beit Hanun to investigate the killings of 19 civilians in an errant Israel Defense Forces shelling last month. But Israel has yet to grant the South African anti-apartheid campaigner and former Anglican archbishop of Cape Town the necessary travel clearance, said three different officials close to the talks between the global body and Israel. The officials, speaking on condition of anonymity because discussions were continuing, said they had yet to receive any indication from Israel that the mission will take place at all. Israeli officials in Geneva said they were unable to comment immediately. Tutu’s team was supposed to report its findings to the UN Human Rights Council by mid-December. The 47-nation council authorized the mission last month, asking Tutu to assess the situation of victims, address the needs of survivors and make recommendations on ways to prevent further casualties. The shelling, which Israel said was unintended, came after its troops wound up a weeklong incursion meant to curb Palestinian rocket attacks on Israel from the Gaza Strip town. The IDF said Beit Hanun was a rocket-launching stronghold. Tutu chaired South Africa’s Truth and Reconciliation Commission after the end of white rule. Tutu, who was in Geneva, could not be reached for comment. Earlier Friday the UN Human Rights Council passed a seventh resolution criticizing Israel on Friday, this time for its failure to act on earlier recommendations that it end military operations in the Palestinian territories and allow a fact-finding mission to the region. The rights body, which has only condemned the Israeli government in its seven-month existence, noted with regret its July resolution urging the release of all arrested Palestinian ministers has yet to be carried out. Janjua demanded that UN human rights expert John Dugard be allowed to conduct an “urgent” fact-finding in the region, which the council ordered at an emergency session only one month after it was called into existence to replace the discredited Human Rights Commission. Criticism by the council brings no penalties beyond international attention. Countries, however, lobby hard to avoid having their rights records scrutinized. Dugard, a former anti-apartheid civil rights lawyer from South Africa, has frequently clashed with Israel, who note that he has been mandated only with investigating violations by the Israeli side. The United States – which along with Israel is only an observer at the 47-nation council – also has dismissed Dugard’s reports as one-sided. Only Canada voted against Friday’s resolution. Cameroon and Japan joined the 10 European members of the council in abstaining. The rest of Africa and Asia, along with all of Latin America, voted in favor. Israel’s ambassador to the global body in Geneva criticized the council for ignoring a Nov. 26 cease-fire agreement that ended five months of fierce fighting in Gaza. “Why does this resolution fail to make any mention of the cease-fire between Israelis and Palestinians, that persists despite the continuation of Qassam rockets fired on Israel?” Itzhak Levanon asked the council. UN Secretary-General Kofi Annan urged the watchdog last month to deal with the Mideast conflict in an impartial manner, and said it was time to focus attention on “graver” crises such as Darfur. Despite his plea, the council has passed only a watered-down resolution on the western Sudanese region proposed by African countries, which urged all parties to the conflict to end human rights violations. Twenty six years ago today a Man of Peace was gunned down in New York. John Lennon, born in 1940…. murdered in 1980 at the age of 40. Once again the true policy of the Israeli government rears its ugly face. Yesterday morning an entire Bedouin village was destroyed by Israeli police…. Why?? Because it was there!! If you read the following Press Release you will see the details of what I am talking about. These people desperately need your help…. any help. Contact information is at the end of the document. At 5:00am hundreds of police accompanied six bulldozers and demolished 17 homes and three animal shacks in the village of Twail Abu-Jarwal. The entire village is demolished. People are sitting by the piles of tin that were their modest dwellings and wondering what to do, where to go – even their family cannot host them, as no one has a house standing. This is the fourth time this year that the government demolished in this village. This time they got it “right” – no house is left standing. But the villagers have nowhere to go to. They lived on the outskirts of the Bedouin town of Laqia, the old folk paid for plots of land to build homes in the 1970s, they still hold on the receipt, hoping someday to receive the plots. For the last 30 years they have been living on land belonging to others, in shacks, the housing becoming ever more crowded, until there was no room left for another baby. They turned to the government for a solution – the option for joining the rest of the residents of Laqia, in a regular house, on a regular plot of land. But the authorities had no options for them. The owners of the land on which they were living requested that they leave – 30 years is enough. So eventually they left back to their own ancestral land – only a couple of miles south of Laqia – by the old ruined school, by their old cemetery. The adult sons built their old mother a modest brick home. The rest built tin shacks. A year ago the government came and destroyed several houses – including the brick home. Some of the people of Twail Abu Jarwal rebuilt, some moved into more crowded homes with their adult siblings. The government came nine months later and demolished seven more homes. Again, some rebuilt their shacks, some moved in with family. The government came back last month and just to harass, uprooted fences, holding the sheep. And now they came in order to make sure the work is complete. Israel’s Minister of Interior, Roni Bar-On, two days ago was invited to give answers to the Internal Affairs Committee in the Knesset, as to what solutions the government is advancing in order to solve the issue of the unrecognized Bedouin villages in the Negev, and why the government is demolishing homes while these people have no “legal” options for building homes. Bar-On claimed that everything is just fine, he is doing all he can to deal with this issue, but a criminal must be punished, and therefore all the “illegal” Bedouin homes in the Negev must be demolished. 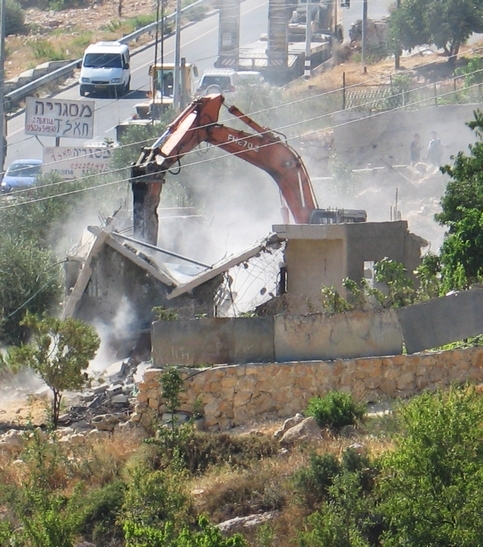 He claimed that as far as he is concerned, there are not enough demolitions in the Negev. And now he has proved that he is a man of his word – 17 homes demolished in one foul swoop. Of the 150,000 Bedouin citizens of Israel living in the Negev, over 50% live in villages that the government as policy has left “unrecognized”, meaning that there are no options for building permits, as well as running water, electricity, roads, sewer systems and trash removal, additionally there are very minimal education and health facilities. This policy’s aim is to force the Bedouins off their ancestral lands and to concentrate the Bedouins in urban townships, regardless of their wishes or their culture. However, there are also no options for living in the concentration towns the government has built, as there are no available plots of land for homes, as in the case of the families of the Twail abu-Jarwal village. Therefore the government can “legally” demolish the homes of 80,000 members of this community, while they cannot build one “legal” home. We need help! Both financial and political. Please donate to help the people of the village re-build their homes (tin shacks that stand as homes…) Checks can be sent to RCUV – al Awna Fund (the Regional Council for the Unrecognized Villages), POBox 10002, Beer Sheva, zipcode 84105, ISRAEL. Please write to your representatives! And tell of the quiet and brutal demolitions of homes and lives in the Israeli Negev, demand that they do something about it. The Regional Council for the Unrecognized Villages is an NGO and was created in 1997 as the representative body for the residents of the 45 Bedouin unrecognized villages in the Israeli Negev. Hssein al-Rafaia is the elected head of the RCUV. For more information, please contact Yeela Raanan, 054 7487005, or via email at yallylivnat@gmail.com, Civil Society Activities Coordinator, Regional Council for the Unrecognized Villages. Olmert talks big…. usually with ‘forked tongue’ as the Native Americans said of the White folks way back when…. Olmert promises Statehood… Olmert promises return of occupied lands… Olmert promises promises promises. In plain simple English…. Olmert is a liar! The following press release shows what the real Olmert is… what the real government of Israel is…. it’s not a pretty picture. In a new escalation of Israel’s policy of denying Palestinians and their families access to the Israeli occupied Palestinian territory (oPt), the Israeli Civil Administration at Beit El is refusing to accept at least 140 passports for visa extensions. 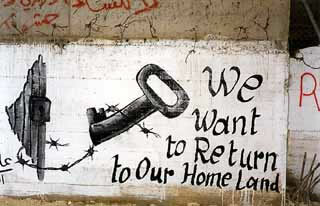 The passport holders are mostly spouses and children of Palestinian I.D.-holders and are residing in the oPt. Many of them have been forced to become “illegal” since their visitor visas have expired while waiting to be renewed by Israel. Twenty-seven-year-old Subha G is one of these cases. Her mother, brothers and her husband all have Palestinian IDs, but her request for family reunification has been frozen since 1997. “I am seven months pregnant and I am afraid of leaving to renew my visa and becoming stranded outside the country. My whole family is here.” Subha said. Palestinian IDs can only be issued by Israel. Since Israel is refusing to process an estimated 120,000 family unification residency applications of spouses and children of Palestinians, foreign family members must renew their visa every three months. All foreign spouses and children of Palestinians who requested visa extensions in October had their passports returned from Beit El on November 19th stamped “Last permit.” The passport holders are required to leave the country before their visas expire, which in some cases occurred during Israel’s processing of the visa extension application. Israeli authorities are regularly denying entry to family members of Palestinians when they attempt to cross the Israeli controlled borders to the Israeli oPt. “Israel is working overtime to create a demographic change in the oPt by targeting the most vulnerable segment of Palestinian society, denying them residency and forcing them to leave,” said Basil Ayish, a spokesperson from the Campaign for the Right of Entry/Re-Entry to the oPt. “Palestinian residency holders are likely to follow their spouses and children to another country in order to stay together,” Ayish explained.